Are you looking for the perfect film for screen printing. Combine T-RIP with the Epson 1430 inkjet printer and for just over $800 you get imagesetter quality films that are in perfect registration with dense black images and clean, crisp halftone dots. And, you can print black ink from all the ink slots to save money! 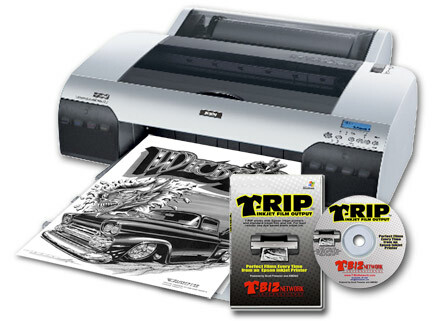 T-RIP is the big brother of Scott Fresener’s FastRIP which is used by over 9,000 printers worldwide. It is easy to use and allows you to print films from Photoshop, Corel Draw and Adobe Illustrator. Download a 15-day Free Trial and give it a test drive. To make large film output more affordable the T-RIP DTP version now includes support and drivers for the Epson SCP series of 17″ printers.